Sikar is as much part of Shekhawati as Jhunjhunu. 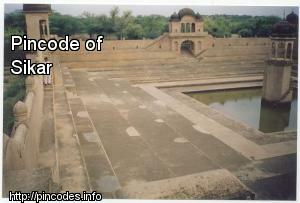 It was the largest Thikana (Estate) of the Jaipur State, earlier known as Nehrawati. 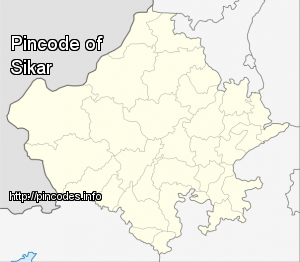 Sikar was the capital town of the Thikana Sikar. It is surrounded by high walls with seven gates ("Pols"). These are Bawari Gate, Fatehpuri Gate, Nani Gate, Surajpole Gate, Dujod Gate Old, Dujod Gate New and Chandpole Gate. Sikar was once known as ‘Beer Bhan Ka ’. Sikar covers eight assembly segments – Lachhmangarh, Dhod, Sikar, Danta Ramgarh, Khandela, Neem-Ka-Thana, Sri Madhopur and Chomu. Train services in East Coast Railway Zone was partially disrupted on Monday as rain water continued to flow between Saragipali and Handapa stations in Angul-Sambalpur section and landslide between Keutguda and Sikarpai stations in Rayagada-Koraput Railway Section.